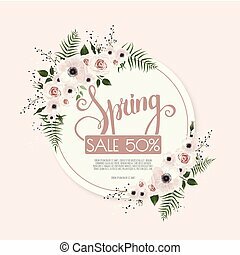 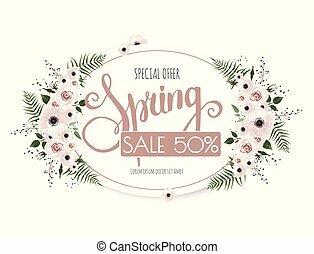 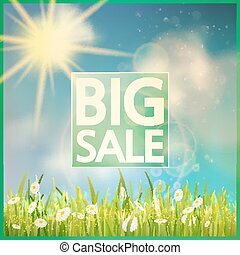 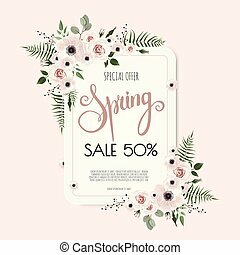 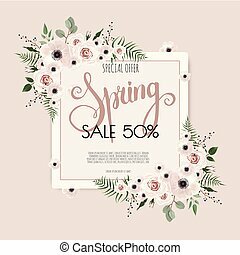 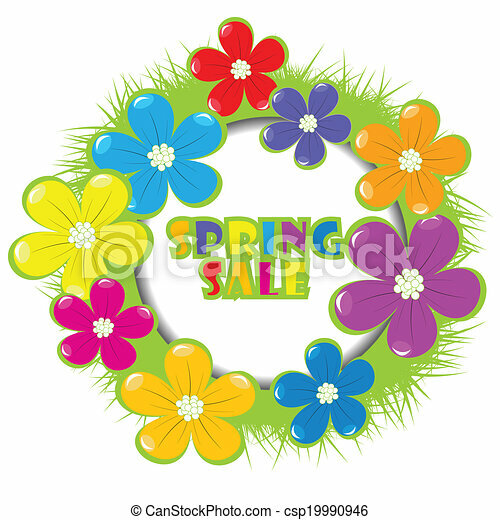 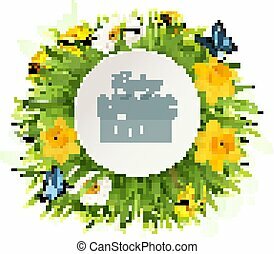 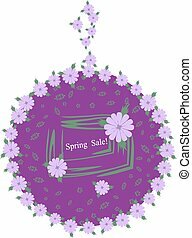 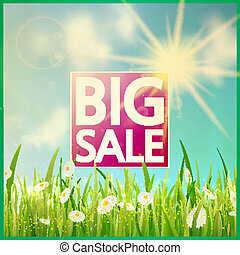 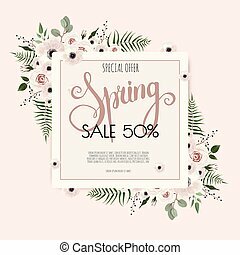 Spring sale advertising with grass and flowers. 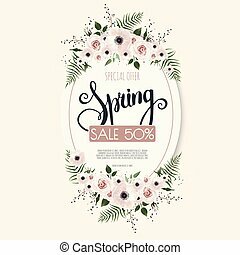 Stylish with lilac flowers label. 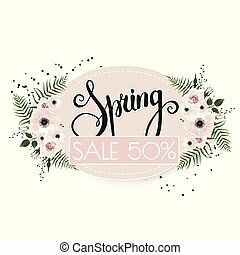 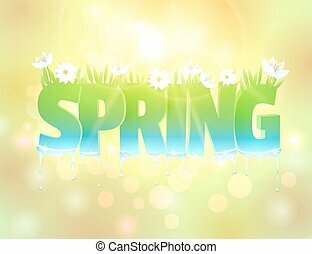 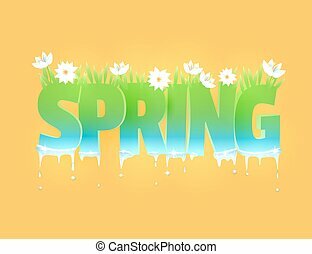 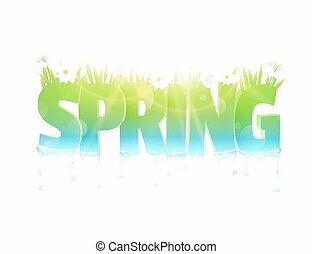 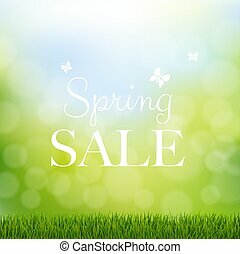 Spring sale.